The Spotify applications is seen on an iPhone in this photo illustration on June 18, 2018. In other words, streaming killed the radio star. It’s no longer a secret how important Spotify playlists can be to an up-and-coming recording artist, but the means for which an artist can get a song’s placement on those playlists remains a bit murkier. The traditional route: Promote on social media. Tour as much as possible. Sell merchandise. Maybe even hire a publicist. Anything to generate buzz and consideration on a playlist like Rap Caviar, which boasts nearly 10 million listeners and can add hundreds of thousands of streams to an artist’s song. But all of that can take time. If you have money, a new crop of companies will offer a shortcut. This burgeoning industry does what is known as “playlist pitching.” That is, companies pitch an artist’s music to curators with popular playlists on Spotify. Artists pay these firms for a campaign, which can cost hundreds of dollars. The companies review the tracks and, if deemed the right fit, pass them along to a network of curators within the appropriate genre. The curators, paid by the pitching companies, review the songs themselves, deciding if it’s good fit for their playlist. Either way, they’ll give the artist constructive feedback on the composition of the tracks. But if the curator thinks it will mesh with the rest of their playlist, they’ll add a song, potentially exposing the artist to thousands of streams, one by one increasing their popularity and royalty payouts. So artists who want guaranteed placement on playlists have to rely on independent curators instead. They might be DJs, or musicians themselves, or an everyday Spotify user who enjoys curating parties or road trips. The curators do, however, need to manage playlists that have a significant following. One notable pitching company, Playlist Push, requires a playlist to have at least 400 followers. Playlist Push, established last June, says it has more than 300 curators on its platform, and works with more than 600 artists and brands to date. The company claims its network of playlists combined reaches more than 8.4 million users. 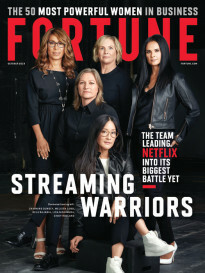 Its founder, George Goodrich, tells Fortune that in just over a year, Playlist Push has run more than 1,200 campaigns, with artists on average getting added to 12 to 15 playlists. Those can range from Christian worship to hip-hop to jazz and so on. Another pitching service, The Falling Apple, offers similar numbers: more than 8 million total Spotify followers. A spokesperson added that the company has generated more than 210 million streams for its clients, with more than 5,500 placements on Spotify playlists. There are, of course, questions about the legitimacy of these pitching services, their playlists, and whether they’re working for or against Spotify. Spotify itself declined multiple requests for comment on the matter, but the company states in its terms of service that “accepting any compensation, financial or otherwise, to influence the name of an account or playlist or the content included on an account or playlist” is prohibited. Brian Hazard, a synthwave artist who goes by Color Theory, published several blog posts about his experience using pitching services. A track he sent to The Falling Apple was rejected, though Hazard tells Fortune he respected that decision because it indicated the service was more selective. Playlist Push, however, accepted the same track, “Glory Days,” and sent it to 53 curators. Of those 53, five ended up adding it to their playlists. One of those playlists doubled in two days from 13,500 to 26,000 followers, indicating it added fake followers, which he says is rampant on the Spotify platform. Hazard describes another as “a grab bag of artists with low listener counts. My guess is that it was created as a repository for all Playlist Push tracks.” Other curators, he said, gave vague reviews of his track or seemed to approve every track sent their way despite quality in order to earn maximum income from reviews. Altogether, Hazard saw little to no movement on his Spotify streaming numbers. One thing appears to be clear: From the curator perspective, pitching services offer playlisters a chance to monetize a hobby. Spotify user TJ Jones was attending college and driving Uber cars on the side when he posted a viral tweet that led to thousands of Spotify followers. Jones now boasts more than 45,000 followers on Spotify and curates playlists for Playlist Push and SubmitHub, a platform that allows artists to pitch music bloggers, record labels and Spotify playlisters. 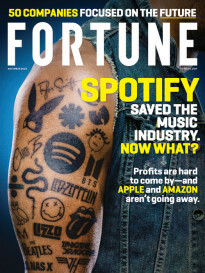 The desire for both sides is there, but it remains unclear how this relatively new industry will proceed, or if Spotify itself will intervene. “It’s a whole wild, wild west for these playlist pitching companies,” says artist Mayo Staccato, who requested not to use his real name. “I don’t know if there’s enough quality control yet.” But, he adds, the concept has potential and likely isn’t folding anytime soon.